With a trained eye you can spot that the ‘4’ in 64GB is not the same typeface as on a genuine SanDisk card. Fake or counterfeit memory cards that look like premium branded product, including convincing retail packaging, are a problem that everyone should take seriously. 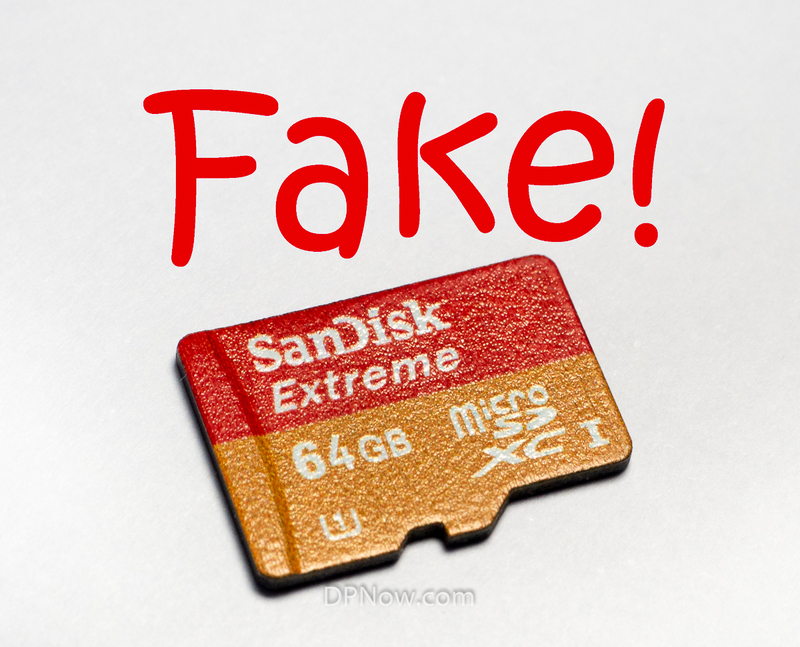 What is a fake or counterfeit memory card? Ciunterfeits will often look just like the real thing. Even slick retail packaging can be faked. 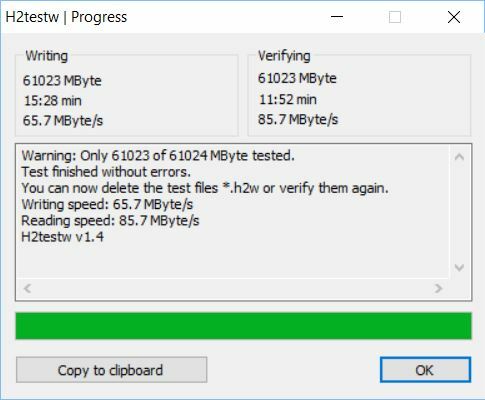 Fake cards will often not have as much actual storage capacity as they claim and read/write speeds will be a lot slower. It may also be possible to spot visual clues as well. The counterfeiters can make cards that have much smaller usable capacity appear to contain a much higher capacity. These hacked cards work at first but once the memory has been used up, files already on the card start to be overwritten, causing file corruption. 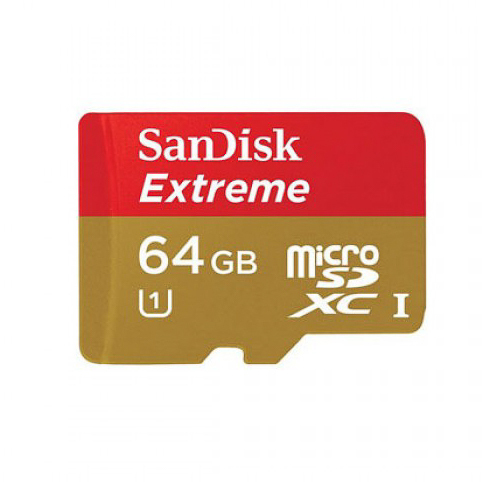 About 18 months ago I saw a good deal on eBay for a 64GB SanDisk Extreme UHS-1 microSDXC memory card – ideal for my phone, I thought. It arrived and came, as advertised, in retail packaging. I was pleased. Much later, when downloaded music started playing back unreliably, and then photos and videos started to get corrupted, did the consequences of receiving a fake memory card come home to roost. By then the eBay seller was long gone and it was far too late to get any recompense. Before I suspected my card of being a fake, I thought it was only faulty. I tried scanning it for errors on my PC. Errors were found and, according to Windows, were fixed. But the problems eventually returned. Next, I tried a ‘slow’ re-format of the card, as opposed to a ‘quick’ format option. A quick format only reinitialises the table of contents, not the actual data across the entire card space. By un-checking ‘quick format’ you will reset all sectors on the card. This method should, in theory, uncover any bad sectors. But the reformat seemed to work fine. Surprise, surprise, file corruption eventually returned. By this time I did some more simple tests. Copying large files to and from the card showed that the read speed was, incredibly, only 3MB/second and the write speed was, perversely, faster, but still a lethargic 7MB/second. A 64GB SanDisk Extreme UHS-1 microSDXC card should allow data to be read at around 80MB/sec and written at 50MB/sec. It was beginning to dawn on me that this wasn’t a real SanDisk Extreme card, but a counterfeit. Later on I also spotted that one of the typefaces on the card itself did not match that of a genuine card. You can avoid an experience like this easily. All you need to do is test your brand new memory card as soon as you receive it. Don’t delay; the sooner you know the card is a fake, the better your chances are of getting recompense. Only buy via respected or protected sources; eBay and Amazon, for example, will help you get a refund or replacement even if the original seller does not cooperate. All you need is proof your card is fake. Here is how to do exactly that. The h2test2w utility writes to every sector in the card’s memory map as well as verifying and speed testing. It is capable of overcoming false capacity hacking of the card’s specifications. 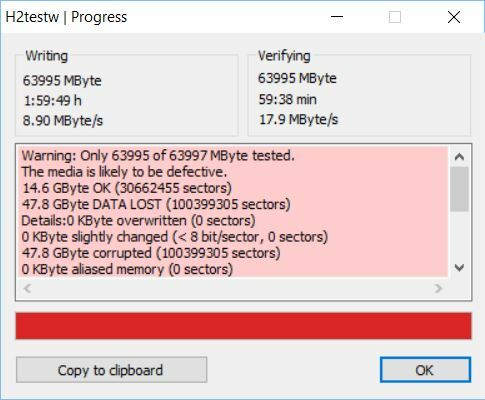 After running the utility it was clear that my 64GB SanDisk Extreme card was a fake, with only 8GB capacity, despite appearing to Windows and my phone as a 64GB card. Red means trouble and a large proportion of the stated card capacity is non-existent. I’d also recently bought a couple of other cards, one of which was another steal of a deal on an eBay auction; a Panasonic V90 U3 64GB SDXC card, which normally sells for £200. My £55 auction win needed urgent validation! Thankfully, it passed the test with flying colours. I already had one of these cards so tested that as well and the results were pretty much identical. The testing process can take a while, depending on the speed of the card, but it’s a great way to make sure you’re getting what you paid for. It can also serve to identify a genuine product that is non-maliciously faulty. I will be testing all new card purchases from now on.